Loose Fit, Solid Color and Casual Style, Mock Neck with Side Pocket. 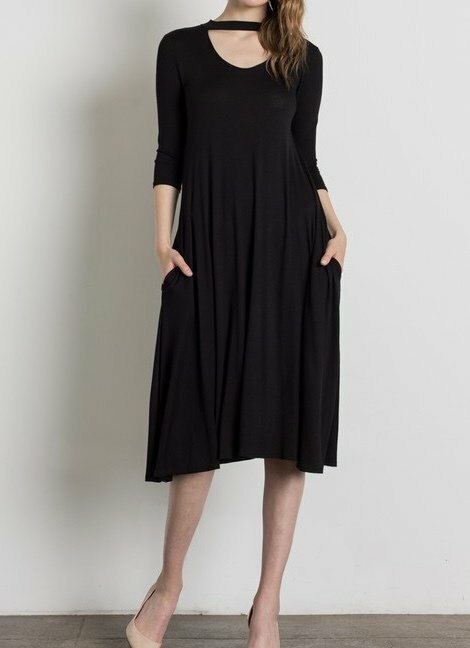 3/4 Sleeve Midi Length. 95% Rayon 5% Spandex. Soft and Silky Knit Fabric.